The word “shrove” is not used often in our home. Ever? It is the past tense of “shrive” which is a religious word meaning to hear a confession, assign penance and be absolved from sin. Shrove Tuesday is also referred to as Fat Tuesday, Pancake Tuesday, or Mardi Gras and is the last day before we enter the season of Lent. In many places, a huge party is thrown. In the history of the church, this was a time to use up butter and lard and fat and other good things in the kitchen in order to prepare for a fast. With little notice of the date on the calendar, my husband and I decided that it was time for a bit of a reset and have entered into a juice fast. I must admit that we were very motivated having seen Joe from Fat, Sick and Nearly Dead. Juice fasting is not easy and is also not an economical choice in the kitchen. It is however, a very good way to get a lot of nutrients and to plow through the abundance of greens that the oncoming spring brings to us in the desert Southwest. With very few “cheats”, we have been enjoying a wide range of fruits and vegetables. We begin our day with lemon juice and water flavored with a bit of stevia and cayenne pepper. This spicy lemonade is a wonderful wake up drink. Then, we move on to something akin to Joe’s Green Machine. 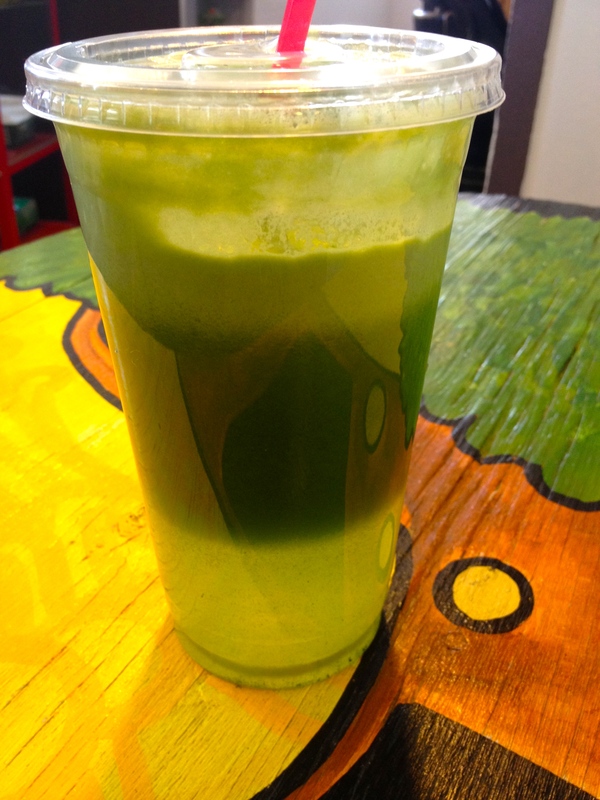 It is greens, celery, apple, ginger and lemon. At lunch time, we’ve acquainted ourselves with a few of the new juice bars that are popping up in our community and have found a wide range of healthful options. Alas, perhaps this should be referred to as the shrove since the fresh raw juices are painful to the wallet. In the evening, I’ve been working on savory options. The key is to cut the strong green flavor with other vegetables. While still earthy, I think the combination goes down easily. Last night, we juice feasted on mustard greens, carrot, dill, turnips and tomatoes. While I’m very tempted by the smell of warm tortilla chips, popcorn, and pizza, I have good energy and am finding that my clothes aren’t fitting as snugly. Many faithful Christians celebrate lent but some sort of fasting or by giving up some type of luxury for a period of approximately 40 days. Chocolate, sugar, alcohol, and meat seem to top the list of many of the practitioners that we know. Have you ever fasted? Juiced? What has been your experience? Years ago I did a fast under the care of my naturopath. I started with three days on just water and a small amount of rice protein. I then moved to 4 days of fresh juices. Luckily, I lived near a natural food store that had a juice bar, which made it easy (expensive, but easy). It was during a time when my metabolism was off, and it helped get me back in balance plus my mind felt clearer afterward. Have fun experimenting with the different juices. That’s the best part! I have enjoyed mixing the juice – especially the heartier veg varieties. It’s interesting to see how much punch fresh herbs can add. Hope you are doing well. Miss connecting with you. I didn’t use my vitamix but I’m back to it now that the juice fast is over. Love it. I am extremely impressed. Sounds like a great way to cleanse the body before the spring holidays. I really enjoy the variety of juices that are available. Spices are really interesting to add also. I’m NOT going to say what we’re having for lunch ~ it would Mardi Gras you with jealousy. I also prefer eating greens but the juicing was fun. Ahwww, lovely. J2 very enthusiastic and I am doing something similar for breakfast each day but might just try a three day fast with juice only. My kale, blueberries and ginger with the lonely carrot and some hempseed morning breakfast satisfies me for hours. I use the vita mix though for the fiber. So how does juice only effect on your gastro tract? Slows my tract right down. I’m almost shamefully plowing through a post-swim machaca burrito as I read your blog… Clean by Alexander Junger was a great read and suggested an elimination diet to cleanse the system. Russ and I had a juice breakfast, solid organic lunch, and juice dinner for 3 weeks, eliminating certain inflammatory foods. It was a great post-holiday reset for the body! I am familiar with Alex Junger. His partner Dhrumil Perohuit has been inspirational for me. I like the idea of a solid organic lunch. all these years, I never knew the meaning of shrive or shrove. thanks for that! It has been years since I did that lemon juice-maple syrup-cayenne fast (made it 9 days, while still running my catering kitchen. crazy.) at some point, when I have a break from restaurant reviewing and cookie dough testing I’d like to do a 3 day juice cleanse. especially after I finish the cookie dough consulting job! Cookie dough consulting!! Oh my. My kids want you to adopt them. 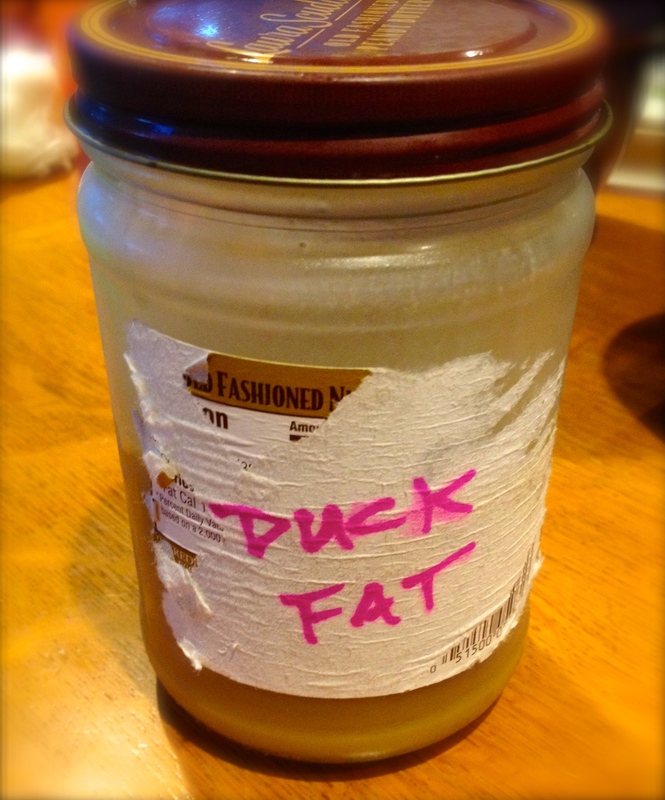 Love that you have duck fat! That’s from the dh. He rendered a duck! I think it is something that you have to be all in for. I was impressed that he went with me. My brother lost 150 pounds all together after losing 20 on a 10 day juice fast. He was also inspired by the same move. Way to go Tammy and John! That’s a lot of weight! Is he vegan now? We did 10 days with one cheat dinner as we’d already planned it. All the best on the cleansing. From what i’ve heard from others, you will feel so much better. We eat pretty clean so I’m not sure I experienced the benefits that many do. I also continued to drink coffee and that probably doesn’t make it quite as pure.